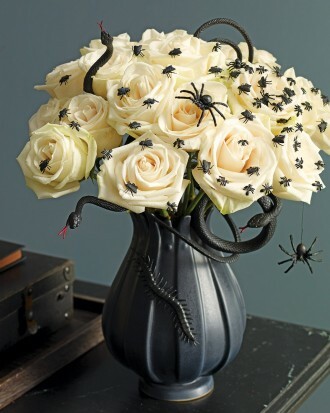 [Halloween] DIY Decorations – i swear to goth. Ah yes, the beginning of October has finally shown itself, and now I can properly, and without shame, post about all the amazingly cute and sinister things that make the Halloween season so fantastic. Let’s start with setting the mood: Decorations. The DIY Network has some great ideas for pumpkin carving, candle decorating, and specimen jar making. I’m honestly the worst at pumpkin carving, but these instructions could probably prove useful to someone with greater talents in the ways of the pumpkin than me. And of course there’s Martha Stewart with her epic projects that she swears you can do yourself. 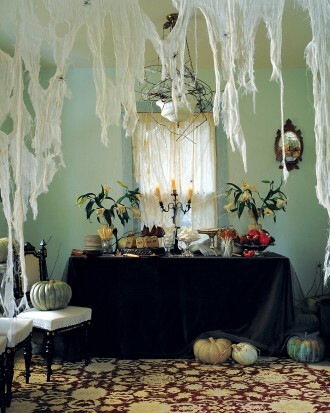 My favorites for home decorations are her cheesecloth spiderweb and her demented centerpiece. 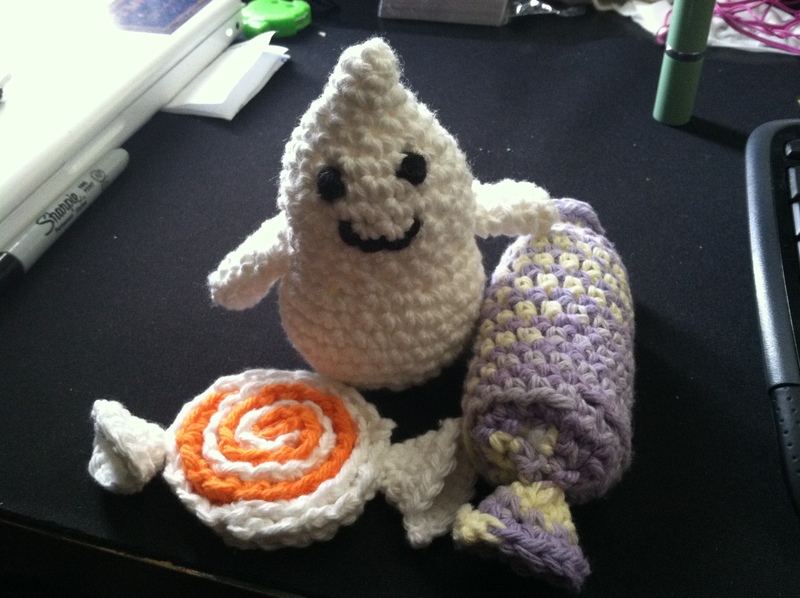 Every year I personally crochet little ghosts and candies that I put into the candy bowl by the door. You can get the patterns for free, as well as many others, at Lion Brand Yarn’s website. I made these! Aren’t they cute?! Cool stuff! I might put my decorations up in the next day or two.